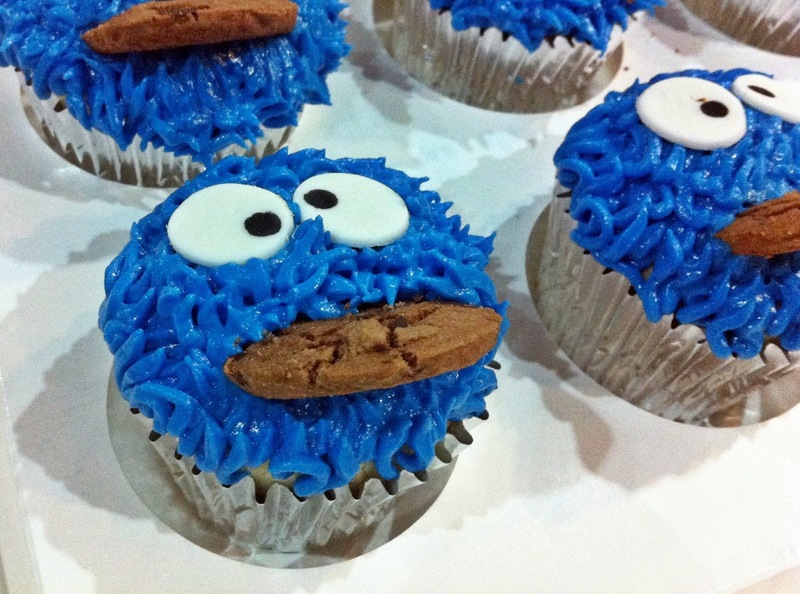 Everyone and their mother has been baking and decorating these little Cookie Monster cupcakes, which I’m sure you’ve seen on one of the many social network platforms throughout the web. I think I first saw these two years ago on Tumblr, but who are we kidding? 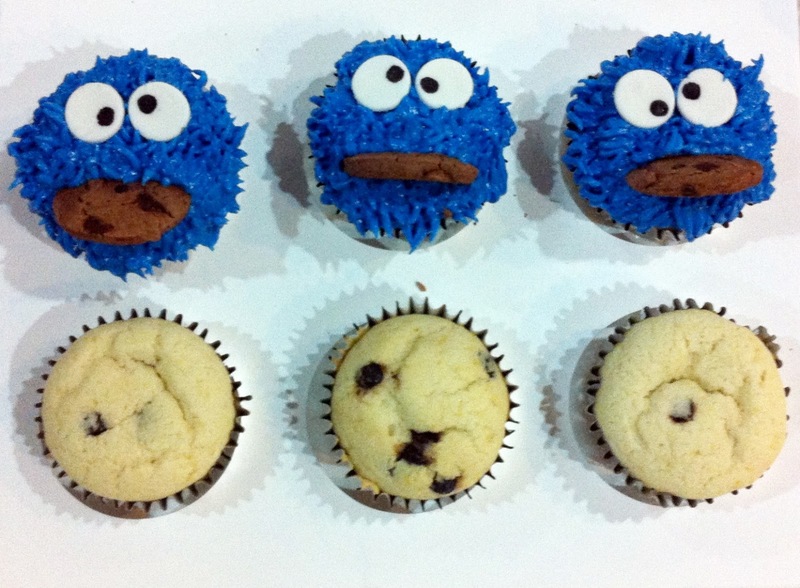 These have been baked to death, but they’re still effing adorable! 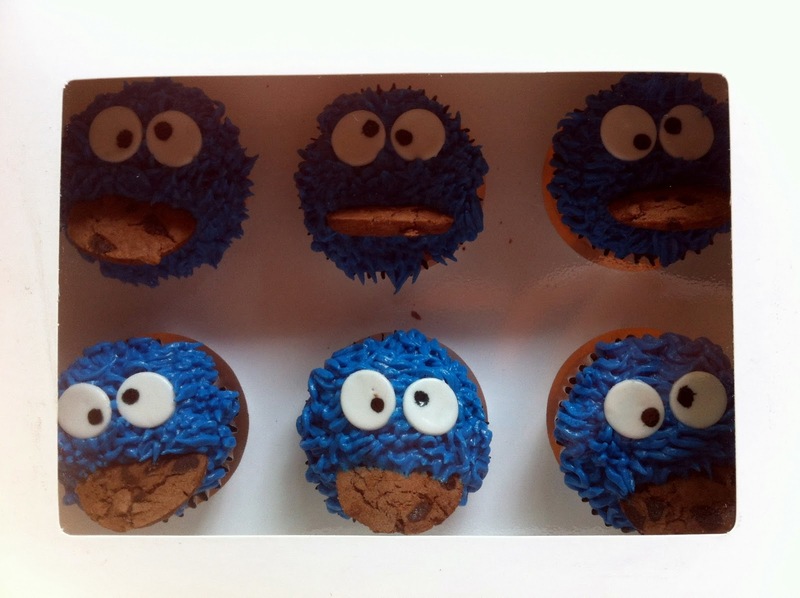 A friend of mine recently put in an order for several Cookie Monster cupcakes, in chocolate chip flavour. I’m going to share the cupcake recipe, though I wish I’d taken better pictures. The cupcakes themselves were amazing, fresh out of the oven. Soft, fluffy, and tasted just like a chocolate chip cookie should. You may choose to stop there, and eat as is with a glass of milk while they’re still warm. Or, let them cool completely and frost with some cream cheese frosting coloured blue using a grass tip. I rolled out ready-made Satin Ice white fondant for the eyes, then dotted on eyes with edible food marker. Then just press in half a mini chocolate chip cookie where the mouth should be.